Hello! My name’s Megan and today I’m paying a little visit to Laura’s blog from my own home at MeganRoisinn. I’ve never done a guest post before, but I’m really looking forward to this one and (hopefully) I’ve put enough thought into it! 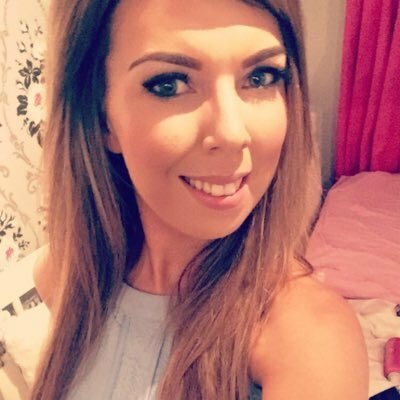 Laura’s talked on here about confidence issues and being comfortable with yourself which is something I think we can all sympathise with. Everyone has their off days when we don’t quite feel up to scratch and it’s easy to let things get on top of you; however, here I am with a dinky little list of a few things I like to do when I’m a bit down in the dumps – enjoy! When you’re feeling low it’s the easiest thing in the world to go make up and shower less, reflecting how you feel on the inside. What I always find cheers me up a bit is making myself look nice in a “Well eff it, if I can’t feel good I can at least look bangin’” kind of way. This is when I normally reach for my hair mask, face mask, fake tan, nail varnishes and best beauty products to spruce myself up – normally my insides follow suit and start being happy too. Maybe this one is just me, but I find making lists very therapeutic. Whether it’s a wishlist, a shopping list, or a list of what you plan on doing when you’re feeling up to it writing lists can help you feel productive from actually doing basically nothing, getting your mind active and perking you up a bit. Now this one seems very daft, but here me out. You know how nice a complete set of clean make up brushes looks? Those could be your make up brushes. Do you envy the lovely desks of the bloggers you follow? Well, you could make yours look like that. Similar to the list making, this helps you feel productive and gets you doing something and by the end you have something lovely to look and make you feel better. You can multitask with this one as well by sticking on your favourite music or film – winner! I really hope that’ll help some of you out when you have your next down in the dumps days – let us know what you do to brighten yourself up! Looking your best is something that I always make sure I do when I'm feeling down. Sometimes, I think that I actually look better when I'm feeling down than when I'm feeling happy haha! If you look good, it's easier to feel good.